1. This must have eye mask would be even more wonderful if you could walk around with it and only see from the inside. But when you're interrupted during precious quiet time, you can just let the mask do the talking. 2. Best little trinket dish! 3. Bad cook, on vacation? Check out these cute ready made breakfast in bed kits. But to be honest, all the meals we have to cook I think the rest of the fam can swing cooking a meal on Mother's Day. 4. Gingham is the hot print this season. Surprise her with one of these cute cosmetic bags with her initials on it from Mark & Graham. Because it's monogrammed she'll know it wasn't a last minute CVS gift. 5. This engraved locket has a place for 2 pictures on the inside. 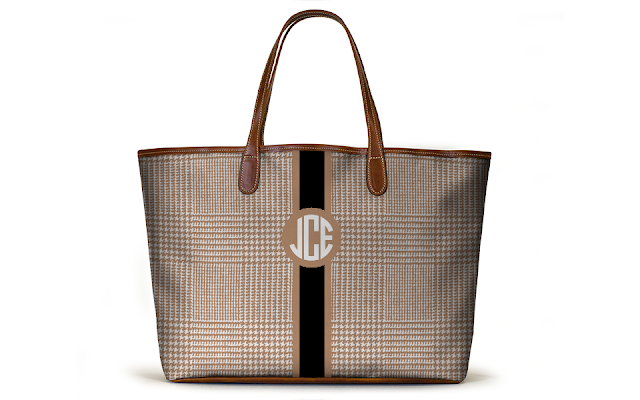 Comes in gold and silver and you can do different monogram styles. This will definitely score some brownie points! 6. A good friend just got me this Jo Malone Candle as a birthday gift and although it may sound like it smells odd, it's quite refreshing and I can't stop smelling it. Makes the house feel like summer! 7. Graphic artist Leanne Shapton's signature painterly patterns grace the covers of four classic Jane Austen novels. Great for decorating after you read them! 8. Mom superpower junk food tshirt says it all! 10. Mom's always need sunglasses to hide behind on morning drop off runs. She'll love the cute case that comes with these too. 11. I've been wanting one of these cool Swell water bottles for awhile but I don't want to spend the money because I lose water bottles often. If someone bought one for me I'd gladly accept it though. 12. You get 2 gifts for the price of one with this Stella & Dot sarong that can also be worn as a scarf. 13. If Mom gets flowers every year switch it up and give her flowers she'll be sure to love from the bouqs. Some of my favorites are peonies and ranunculus and they're so fun in this orange color. 14. Treat mom to an overnight facial in a bottle. This will be sure to give her soft glowing skin and all those newborn moms will look a little more rested then they actually are. 15. You can never go wrong with candy. Especially when they come in a super cute box like this Sugarfina one. 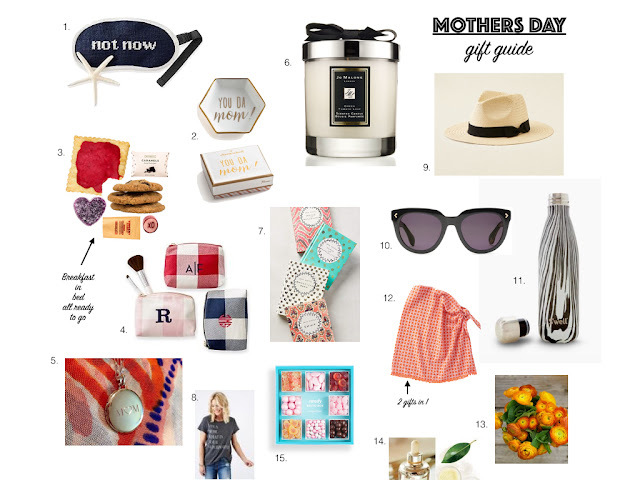 Is there anything special you're wanting this Mother's Day? I've had my eye on this Barrington tote forever but have never been able to decide on a color scheme.